Cameroon coach Hugo Broos said he was "disappointed with the result but satisfied with the performance" after his side's 2-0 defeat to Chile and the Australia camp may feel the same way about their 3-2 loss to Germany. 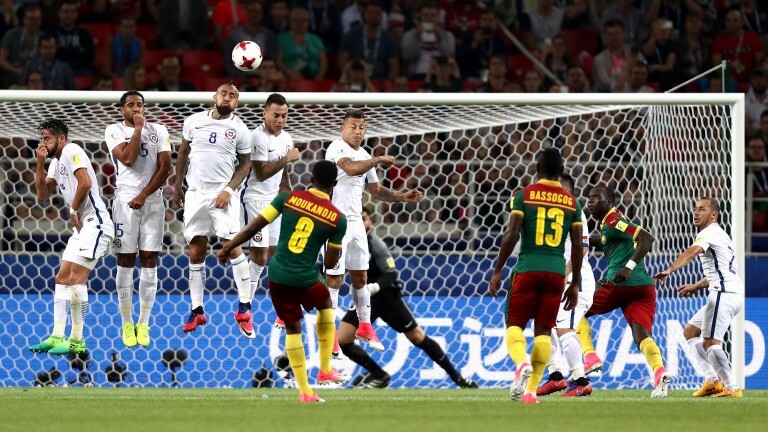 Both underdogs competed well in patches - African champions Cameroon were undone by strikes in the 82nd and 90th minutes while Australia's gung-ho approach earned them a couple of goals against the 2014 World Cup winners. The Socceroos struggled to get the ball off the talented young Germans in the first half and were a little flattered by the narrow margin of defeat but they should give their backers a run for their money at 21-10. The Germany game was the 16th time in 17 internationals that they have found the net - Brazil kept the Aussies quiet in a friendly earlier this month - but Cameroon are far less prolific. The Indomitable Lions scored only seven goals in six matches on their way to Africa Cup of Nations glory and have notched just three times in five subsequent internationals. Vincent Aboubakar scored two of those three goals, as well as the winner in the Cup of Nations final against Egypt, and the Besiktas striker is 5-1 favourite to score first against a dodgy Australian defence. However, the Socceroos have some dangerous attacking players of their own and Celtic midfielder Tom Rogic is an appealing 12-1 to open the scoring. Rogic missed more than four months of Celtic's triumphant campaign with an ankle problem but returned to score an injury-time winner against Aberdeen in the William Hill Scottish Cup final. His fine form has continued at international level - he struck a cracking winner in this month's World Cup qualifier against Saudi Arabia and made it 1-1 just before half-time in the Germany game. Rogic also played a part in Australia's second goal as his shot was parried out for Tomi Juric to tap in. Left-back Ambroise Oyongo was ruled out on the eve of the tournament and no replacement has been called up. The Socceroos could be unchanged although veteran Tim Cahill and Burton's player of the year Jackson Irvine are pushing for starts. Cameroon scored only one first-half goal in six matches on their way to winning the Africa Cup of Nations.